I want to begin with a couple of brief thank-yous and a word of introduction before I turn to my topic, the Palestinian background for a life of Jesus. I thank Hershel Shanks for pulling this event together and for inviting me to be part of this. It is, quite frankly, an honor for a small-town boy from North Dakota to be here. I also want to thank all of you for being here this morning. I live in two different professional worlds. On the one hand, I live in the world of the secular academy. 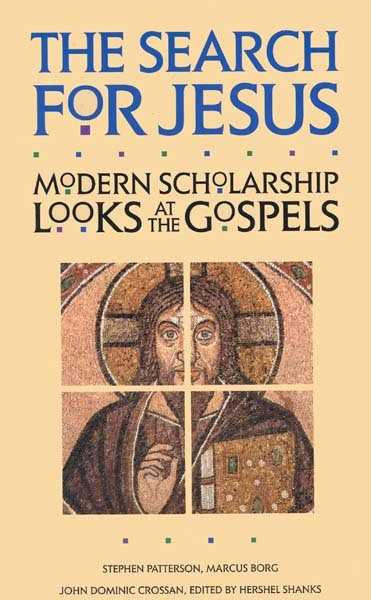 My teaching position is at a state university supported by public funds, and the professional organizations in which I am most active are all committed to the nonsectarian study of Jesus and Christian origins. In those settings, it is inappropriate to approach the study of Jesus with specifically Christian presuppositions or with his significance for Christian faith in mind. I also live in the world of the church. I grew up in the church, and I am actively involved in church life and worship. My wife is an Episcopal priest, so I am even married to a priest, which, I must admit, was not one of my childhood fantasies. I mention the fact that I live in two different worlds so that you will know that it’s possible to combine the two—the academic study of Jesus and being a Christian. What I will be presenting to you today will flow from the first of those worlds, although I would be happy to respond to questions that also have to do with the second.